DO WE ALL GET A TROPHY? I know I am going to make some of my faithful readers unhappy with my article today, but being an individual who has been wired by God to express what is stirring within his heart- I must get this off of my chest! Is there anybody else out there who like me were raised in the era when everybody who participated in a team sport didn’t get to win the game and we all didn’t get a trophy and every now and then we even got cut from a team or were told that we weren’t quite good enough yet and needed to improve if we wanted to be part of the program? 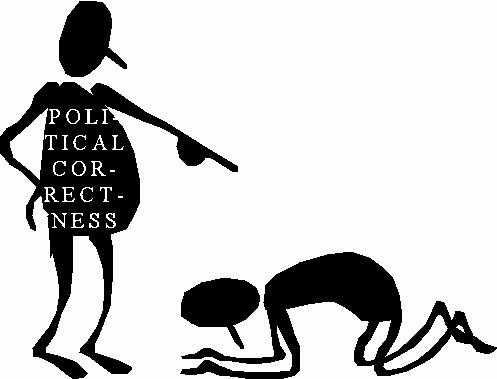 The political correctness of our day just sometimes drives me crazy! I remember being heartbroken the first time that I ever got cut from the basketball team- but I also remember my Dad teaching me that we would learn from this experience and practice harder and the next time when I tried out and made it- it was a true personal victory! I had worked hard and made the team because I wanted to! In the process I also learned that not everything is handed to you- and if you really want something or to excel in a particular area- you’ve got to practice and give it your best and be committed! As a Coach for the last 30 years, I believe that there is nothing worse for me than trying to lead a wonderful young kid who would rather be anywhere else than on a sports team- and yet- they are made to be there because their parents want them to play! I have actually had children ask me to not put them in the game or to take them out of the line-up! This was sacrilege in my day! Nobody wanted to sit the bench and back then- many kids did! Cal had some wise words when he summarized, “Winning and losing, that is what life is and everything else in between. It is better to learn it when you are young, than be shocked by it later as an adult.” I know Cal is on to something when you look at the condition of today’s professional sports! Do you see how overpaid spoiled players can get their managers and coaches fired? And there is very little accountability for a player to keep working hard once he has a guaranteed contract unless he was raised with an ethic of inner integrity! And once ownership commits to paying such a selfish player a ridiculous amount of money- even if that athlete might think that practice is a waste of time- most CEO’s won’t cut bait when it hits them so hard in the wallet! My Facebook Friend Jim asked a great question, “So what era do you think that it was better to raise a child?” I am not going to mince words here. And please remember, these are my thoughts and you have the total freedom to disagree. I do acknowledge that we live amidst a day where the technology has surpassed even my wildest dreams since I entered it back in 1960! I am not going to be a hypocrite and say that I too don’t benefit from the internet and cable and droids and wifi! But I long for simpler days. We might have instant access with one another, but we don’t take the time that is necessary to go deeper with one another. No matter what, we ate as a family at the supper table every night together. Not even my family can pull that off in this crazy world and I pine for it terribly. Back in the 60’s and 70’s, we shared and laughed and talked and it was the chance to catch up on what was going on in each other’s worlds. And then there were the Sunday dinners where the extended family would come and we’d all connect lots better than we presently do now via texting. Where do the generations mix in this culture? Where do we learn face to face interaction with those outside our natural peer groups? And as for the way we do sports and grades and ventures that try to appease everyone and yet satisfy nobody- we all can’t win all the time! Not everybody can play or excel or get an A! I purposely would choose classes where I knew that good grades weren’t easily passed out because I wanted to learn something! I didn’t get a trophy every time but when I did- it sure meant something! And we were corrected when we were wrong by adults who weren’t our parents. Have you ever tried to correct a child today who is not your own. Even as a Pastor, I can’t tell you how many times that I have been disrespected and even hear comments like, “Who do you think you are?” I just wish we wouldn’t be so afraid to fail. A failure is not somebody who doesn’t make the team or gets a D or doesn’t get a ribbon at the end of Field Day- it is somebody who never tries or uses his or her God given talent to make a difference! Not everybody can bat clean up or be the quarterback or the Class President. But it takes all kind of parts to make a body work! And while my thumb doesn’t get a whole lot of airplay- I know my hand would be helpless without it. So where do we go from here? I hope we can make wiser decisions in the days to come when it comes to coaching and teaching and raising a family and just plain being a good citizen and loving neighbor. If you don’t stand for something, you will fall for anything and there are those moments when you must step up- and be real and say what you mean and mean what you say and if your goal is to truly teach and help and assist and affirm- even if it is not received well- you did well by sharing what was genuinely in your heart! God loves you even if you are a C student and even if you didn’t make the National Honor Society or can’t turn a double play at second base! What are the lessons we are trying to teach? Just show up and you get an A- or work hard and give it your best and even if you lose- you know you left it all out on the field and coming in second makes your hunger burn to next year come in first! So stop giving everybody a trophy and start giving everybody a chance!